A bill aimed at helping homeless youth, families and those with severe mental health issues by ensuring out-of-state real estate investors pay more taxes to the State of Arizona is poised to be considered by the House of Representatives. 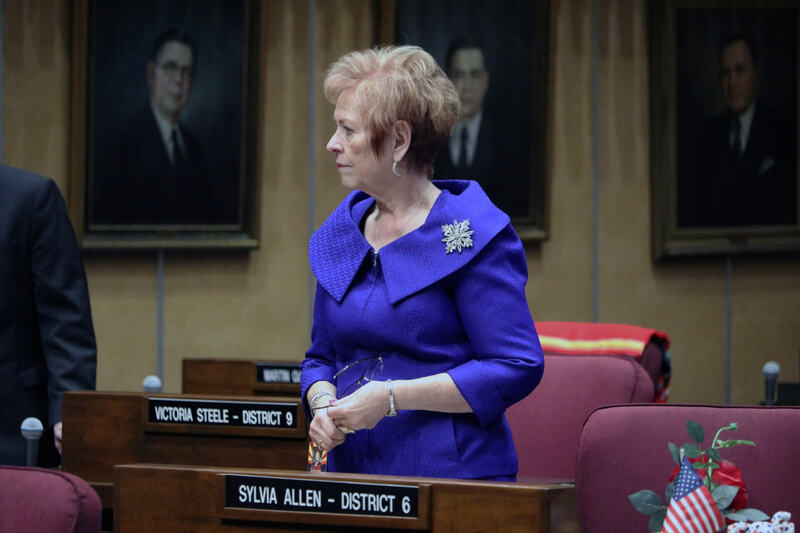 Senate Bill 1471, sponsored by Sen. Sylvia Allen, R-Snowflake, would make certain taxes collected on sales of Arizona real estate by out-of-state investors go toward both the Housing Trust Fund and the Seriously Mentally Ill Housing Trust Fund. A portion would also go to the state’s general fund. “I was told we needed to find the money,” Allen said before the House Ways and Means Committee March 27 when asked why she took this approach instead of trying to appropriate the funds as part of a larger budget process. Arizona’s State Housing Trust Fund was created in 1988 to help low-income families with their housing needs and the Seriously Mentally Ill Housing Trust Fund was created in 2011. The funds receive money from the sales of unclaimed property belonging to the state, like buildings and safe-deposit boxes. But like many other dedicated funds operated by the state, the Housing Trust Fund was depleted during the Great Recession. “I was here in 2008 when the recession started. It’s been a nightmare… getting this money back,” Allen told the committee. At its height, the program had nearly $40 million in revenue in 2007. But when the economic downturn hit, the state needed to fill a multi-billion-dollar budget shortfall, and swept money multiple times in the ensuing years from dedicated funds. The Housing Trust Fund was no different. Then, in 2010, the budget for the fund was capped at $2.5 million. Allen’s bill could result in millions of dollars coming into the Housing Trust Fund via the new taxing revenue stream. Currently, title companies are not required to send what is called a 1099 form to the state. This form contains additional information that could reveal if a person or entity had additional income from the sale of property that needs to be taxed. Having this additional information would allow the Arizona Department of Revenue to zero in on those unpaid taxes and collect them more easily, according to Allen. It’s not entirely clear how much that could be, but Allen said she had been told by the Revenue Department that it could be in the millions of dollars. Allen has been attempting to get extra funds for youth homelessness and family homelessness programs for the past three years. Previously, she tried to increase the amount collected by the Arizona Lottery, but those attempts failed amid concerns that doing so would divert money away from the state’s general fund. This new bill would not be an appropriation and would not take money out of the general fund. Finding the funding is personal for Allen. An extended family member was diagnosed with schizophrenia in his early 20s. He became homeless, and his family wouldn’t hear from him for months at a time. Eventually, the stress of his diagnosis and his living conditions led to him taking his own life, and when Allen toured a facility that helps those in crisis, she thought that if only he had been able to access similar programs, he might still be alive. Allen said she can’t take credit for this new idea, though. Jeff Taylor, Chairman of the board of the Arizona chapter of the Salvation Army, approached Allen with the idea for SB1471. “We can solve the solvable and eliminate family homelessness,” Taylor told the committee, adding that he’s spoken with three different Arizona governors who all advised him to find a new revenue source instead of seeking an appropriation from the general fund. On top of finding new money for the HTF and the SMIHTF, Allen’s bill outlines how that money will be used and puts caps on certain collections. If more than $10 million is collected, every dollar above that will be deposited into the general fund. SB1471 also restricts the first $10 million collected for the HTF to be used for capital projects, housing and rental assistance and services for homeless youth and families. Anything after that initial $10 million that is sent to the general fund would be earmarked for other Department of Housing projects. Money collected for the SMIHTF also has its own set of guidelines and restrictions. The monies could only be used to support community living for those with serious mental illnesses or behavioral health residences licensed by the Arizona Department of Health Services. The bill also gives the director of ADHS the ability to have rulemaking power for licensing and classification of secure behavioral health residential facilities, and requires AHCCCS to request proposals for third-party entities to conduct program studies to examine how best to house those with severe mental illnesses. Additionally, it’s not the only proposal aimed at this issue. Sen. Heather Carter, R-Cave Creek, has several bills aimed at addressing the issue, including adding more definitions to current statues on homelessness, clarifying how current money can be used and appropriating more money to help the severely mentally ill homeless population. Rep. Ben Toma, R-Peoria, has also sponsored legislation that aims to alleviate the growing affordable housing crisis in Arizona. House Bill 2736, which originally was aimed at creating certain licenses for tobacco distributors, now establish a non-refundable affordable housing tax credit. Allen’s bill passed out of the Ways and Means Committee unanimously and is awaiting consideration by the full House.